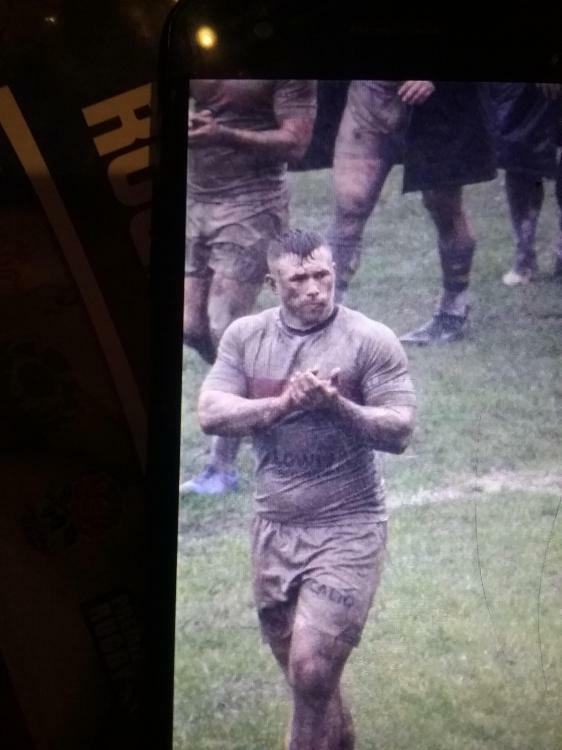 I drove passed The Shay when the mud wrestling was on and it was absolutely pouring down. Pitch cannot be too good. Ozzie has work to do. That's why we can't ground share anymore ! Pitch wasn’t exactly in top condition anyway. It’ll get rolled and cut but that’s it. It was noticeable during the Havant highlights just how bumpy the surface was and how infrequently the ball ran true. Last minute try....pitch cut up a bit. It has on my computer ? Game on tomorrow? It was very heavy on Tuesday night and we've had a lot of rain since then. If we play Saturday and the blue frocks play on Sunday the pitch will be goosed for what is left of the season. Ossie and Hansie are good but they are not miracle workers. I read that a weather forecast for the next fortnight that said we are due some snow and icy conditions as well as high winds and plenty of rain. After that we are supposed to have better weather. O don't know what it's been like in Halifax for snow this winter but we've hardly had any in Leeds. There was pitch inspection this morning no news is good news !! y, ground staff working hard on the pitch could not see any standing water fingers crossed for game tomorrow. Oz put a 12 hour shift in on Tuesday and has been working hard all week to get the pitch as good as can be expected. Yes I know its his job and he's a mate of mine etc etc but he does a sterling Albion of a job. Having just waited an hour for a bus that is supposed to be very ten minutes I'm not so sure. Leeds has officially outgrown itself. Oh and joy of joys they've just built a load more new offices down Wellington Street and some more next to the Playhouse. If only they'd accompany that with an adequate transport system. I'm seriously thinking about moving back to Halifax or somewhere quieter. I wish I had the cash pal. I've got a friend over in Portugal and she's told me to go over there. I must admit it looks beautiful. I don't know long you've been over in Lanzarote Steve but Leeds at rush hour is like London. Mayhem. In all my time in Dirty Leeds I never once boarded a bus that came on time. Sometimes it's quicker to walk. It's push bike or get left behind. I'd definitely recommend a tranquil place near Halifax instead, such as Norland or the East Stand.